It’s becoming fall outside, that means cooler mornings and less sunshine during the day. So, our bodies crave warm comfy food that helps us stay energized even when the sun is missing. 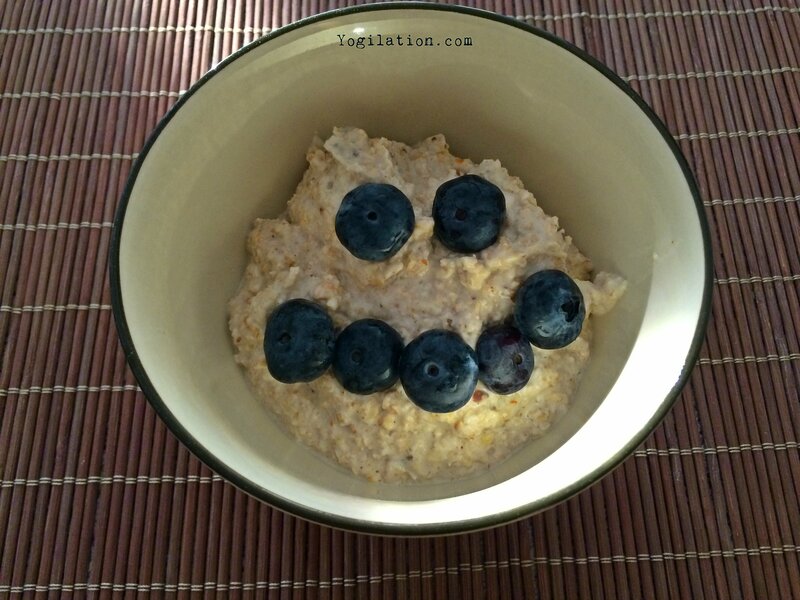 One of my old time favorites is my beloved OATMEAL or in some countries better known as “porridge” 🙂 I eat it every morning during the week because it’s quick, easy, delicious, and keeps me satisfied and warmed-up inside. If it’s warm outside or if you are not in the mood for something warm, then this HIGH PROTEIN BREAKFAST BOWL or my YOGILATIONAL GREEN SMOOTHIE might be for you!